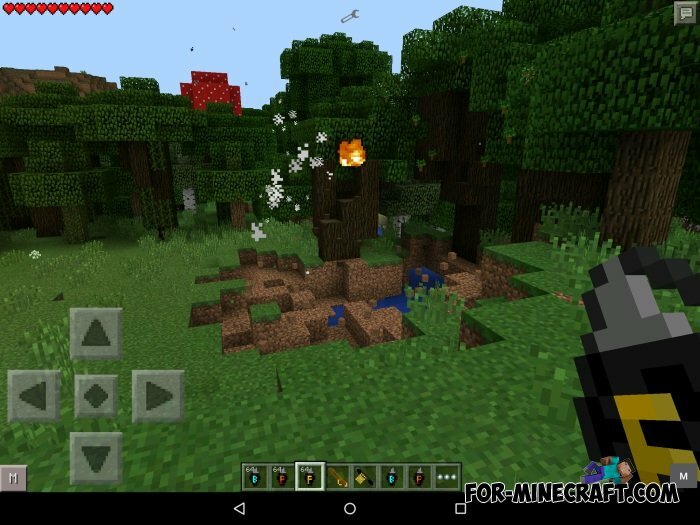 Battlefield Gear adds new weapons to help you in the battle against the hostile mobs in the world of Minecraft Pocket Edition. These are three hand grenades and machine gun. These weapons will shoot a set of boulders which produce a small barrier. 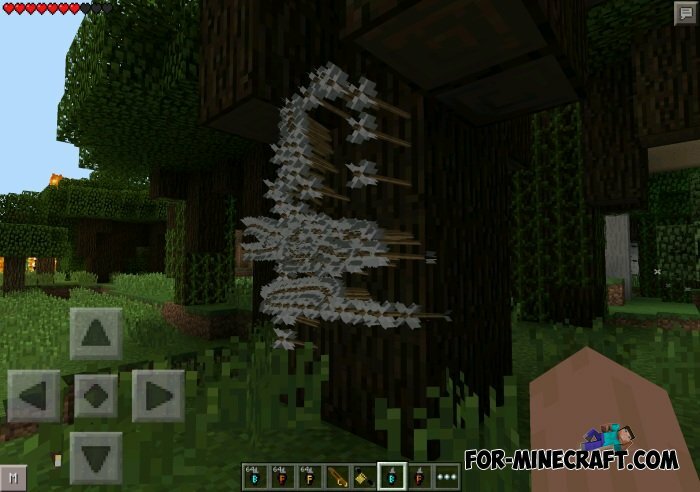 This is ideal if you wish to lock the hostile mobs. This is a really dangerous weapon - grenade, you can throw it like an ordinary grenade that will explode after landing. This type of weapon is the most powerful among all these weapons. Grenade can be thrown long distances and when it touches the subject, it destroys everything in its path! This is assault rifle, which will quickly shoot by fire arrows. 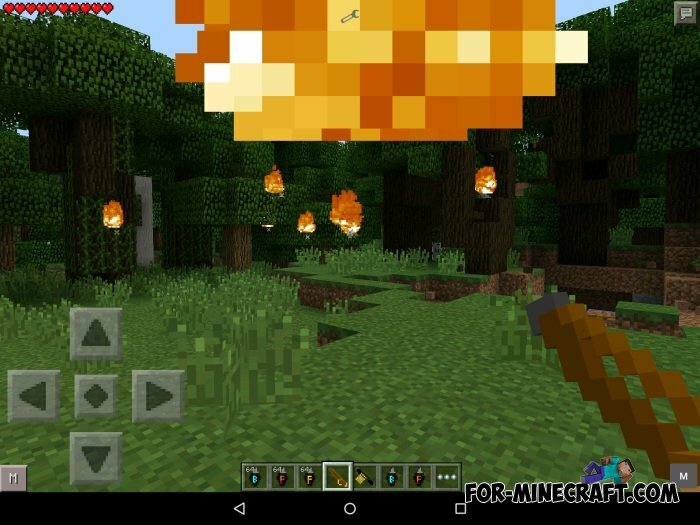 This weapon shooting using fire arrows. Weapons shooting flaming arrows at some arrows per second - a lot!